London, 1880. Eighteen-year-old Witch Hunter Luke Lexton has failed his initiation into the Malleus Maleficorum – the secretive brotherhood devoted to hunting witches. Instead of killing the witch he picked from the Book of Witches, he has committed the worst possible crime: he has fallen for her. 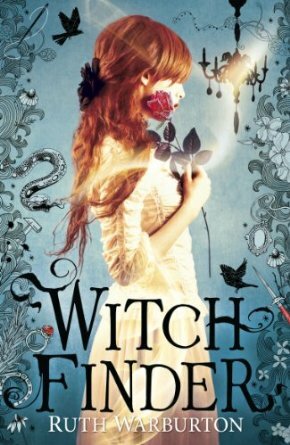 Sixteen-year-old witch girl Rosa Greenwood has failed to secure her struggling family’s future by marrying the handsome, cruel, rich and powerful Sebastian Knyvet. Instead she has set fire to his factory and has brought disgrace on her family. Now together they are on the run – from Rosa’s ex-fianc? and from Luke’s former brothers in the Malleus. As they flee across England, and with the danger of their past catching up to them …can they overcome their differences? 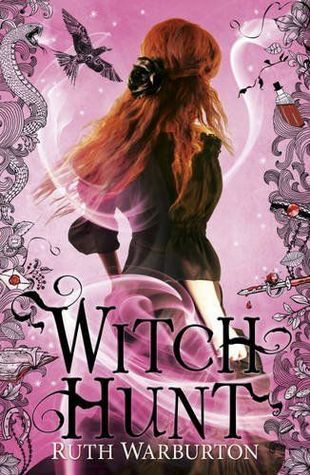 Can a witch hunter ever find love with a witch girl? Categories: England, Historical, London, Paranormal, Romance | Tags: Ruth Warburton | Permalink. Where do you go when your heart has been ripped out? For Anna there is only one answer; into her past, where the truth about her mother, her power, and her real identity lie hidden. But as Anna delves deeper into her history, she begins to fear that the truth about what set her mother running may be darker than she ever suspected. 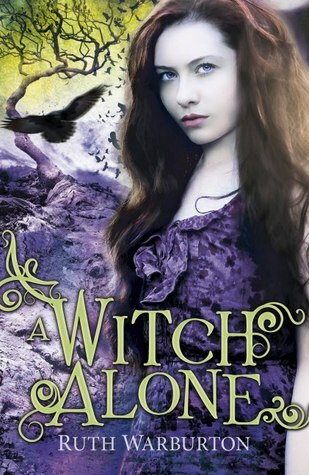 With the witches of the world on the brink of war, Seth gone, and her friend Abe wanting more from her than she can possibly give, Anna is in crisis. As the clouds around her gather, Anna is torn between friends, family and rival tribes of witches and – at the last – between love and magic. Categories: Paranormal, Romance, Social/Family, Uncategorized | Tags: Ruth Warburton | Permalink. London, 1880, and eighteen-year-old Luke Lexton is about to endure his initiation into the Malleus Maleficorum – the secretive brotherhood devoted to hunting witches, and the organisation that will help Luke take revenge on the witch who murdered his parents. His final test is to pick a name at random from the Book of Witches, a name he must track down and kill within a month, or face death himself. Luke picks out sixteen-year-old Rosa Greenwood, a witch-girl living in rapidly fading grandeur on the west side of town. She’s the last bargaining chip in her family’s struggle to avoid bankruptcy and is about to be married off to the handsome, cruel, grotesquely rich Sebastian Knyvet – a powerful member of the Ealdwitan. As Rosa and Luke get to know each other, Luke realises it will be impossible for him to kill Rosa, just as Rosa knows she will bring disgrace on her family if she does not marry Knyvet. 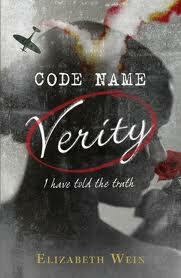 But Knyvet is hiding dark secrets – including the key which will unlock the mystery of Luke’s murdered parents. Torn between appeasing their elders and their love for each other, Rosa and Luke must each make their choice between life and death. 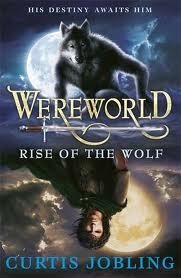 Categories: Paranormal, Romance, Thriller | Tags: Ruth Warburton | Permalink. I love this book! A creepy and tense thriller with a heady mix of witchcraft and the high school hierarchy. I’m so impressed by this debut novel! How Dave Cousins managed to create a hilarious and yet touching tale about a family in chaos is beyond me. This has been my favourite romance read of the year (well, several years, actually). Brilliant UK voice set in glam LA – a fab bit of escapism! This clever novel featuring an array of loosely-connected characters is intelligent and experimental, whilst also being accessible and pacey. Genius! Categories: Books of the Year 2012 | Tags: Dave Cousins, James Dawson, Keris Stainton, Matt Dickinson, Ruth Warburton | Permalink. Jim is an incredibly prolific book blogger, with YA Yeah Yeah, YA Contemporary and the fabulous new YA TV site, Young Adult TV. He shares his Top 10 faves with us. My top ten of anything changes pretty much daily. I haven’t even attempted to order these, because that way madness lies. If you asked me tomorrow, some of them would certainly still be on there, some may be nudged out by others which are just off the list at the moment. However, I think the ten below are wonderful books and series that all fans of UKYA should take a look at. Wein has created one of the most memorable fictional pairings ever in narrators Verity and Maddie. A stunning, heartbreaking, but ultimately life-affirming book. I read this straight after Code Name Verity and really should have taken a break to stock up on tissues. Londoner Farrant’s portrayal of a French village where the Resistance are bravely fighting the Nazis, and a love story set against this backdrop, is staggering. How can anyone be this talented with their debut book? Jarratt’s central couple of traveller Ryan and Jenna, who’s scarred from a car crash, are both battling their own issues but find conmfort in each other. The romance between the two is beautiful. As a book, it’s also incredibly unpredictable. Winter, the small fishing town to which Anna and her father move at the start of the first of these novels, is a fabulous location and Warburton describes it so wonderfully that you can practically feel the sea breeze when reading. Add in some brilliant characters and great plots and you have a superb series so far. I read the first of these novels expecting fairly mindless action – making the old mistake of judging a book by a cover – and was blown away by Jobling’s rich worldbuilding and incredible characters. This is a truly epic fantasy sequence which gets better with every new book. David’s taut style, fast paced plot, and believable characterisation make these books completely impossible to put down. She’s created a male narrator who is really easy to like and who has a truly compelling story. As I’ve mentioned above, I bawl like a baby quite often when reading books these days. 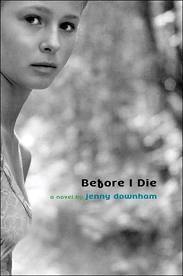 When I first read this, I wasn’t reading much teen fiction and don’t think I’d ever cried at a book before. I broke down 3/4 of the way through this one and, rereading it years later, found it had lost none of its power. An incredible tearjerker. Hill writes books which are ridiculously long but never seems to waste a word. They’re arguably dangerous to read – there were so many shocking moments in book two, The Rising, that I nearly dropped it several times. (And this is one heavy hardback!) I’ll take the risk of a broken toe, though, and carry on with this series because Hill cuts between narratives wtih huge skill and manages to create absolutely compelling, multi-layered stories which leave you desperate to know what happens next. I like the first three and love the last four. I think Rowling did a phenomenal job of creating characters who lots of people cared about and some wonderful plots. As a fantasy sequence, this is possibly unbeatable. 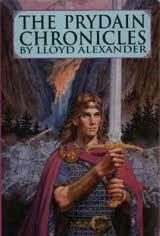 Alexander created a wonderful world and characters who developed beautifully in the course of his five novels. A real gem. Categories: Top Tens | Tags: Curtis Jobling, Elizabeth Wein, J K Rowling, Jenny Downham, Keren David, Laura Jarratt, Lloyd Alexander, Natasha Farrant, Ruth Warburton, Will Hill, YA contemporary, YAYeahYeah | Permalink.